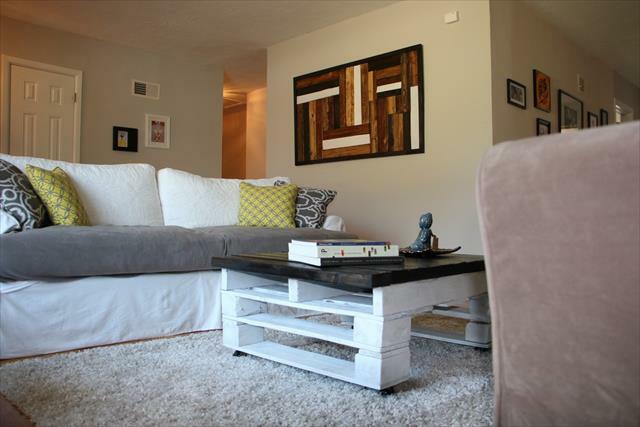 Pallets can even be targeted for fancy and all better presentation of your interior walls! 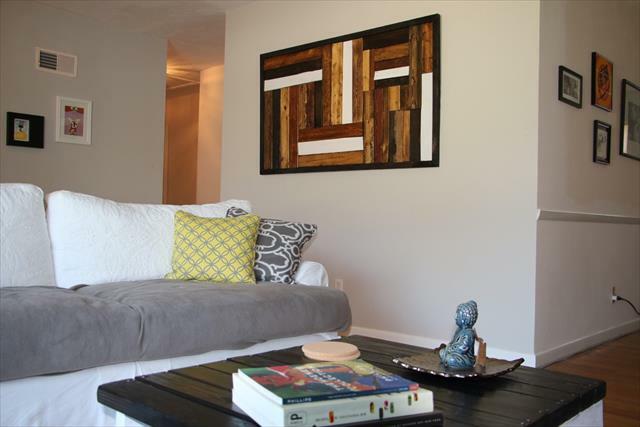 Pallet wall decors and art pieces are a big hit on the internet and can make you inspired if you really want to create a rustic and modern mix them of your visually attractive interior walls! 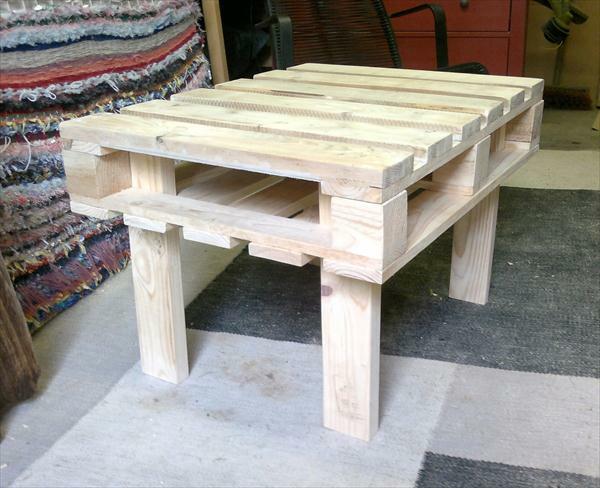 Pallet wall art construction may all be no-sweat and this DIY pallet wall art piece is a cool example here and would really rock on a living room wall area! 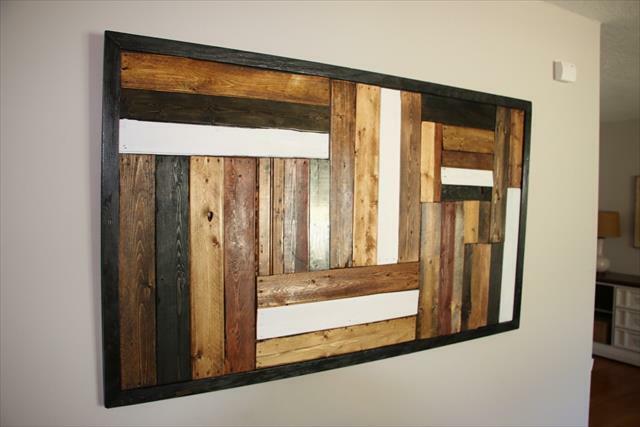 A big rectangular wooden board has been made by patterned filling of pallet slats that results into artful square lines, the addition of white and black painted pallet slats among the wooden slats having natural wooden tone, just gives a big visual boost to it and hence it appears into a bizarre piece of wall art! 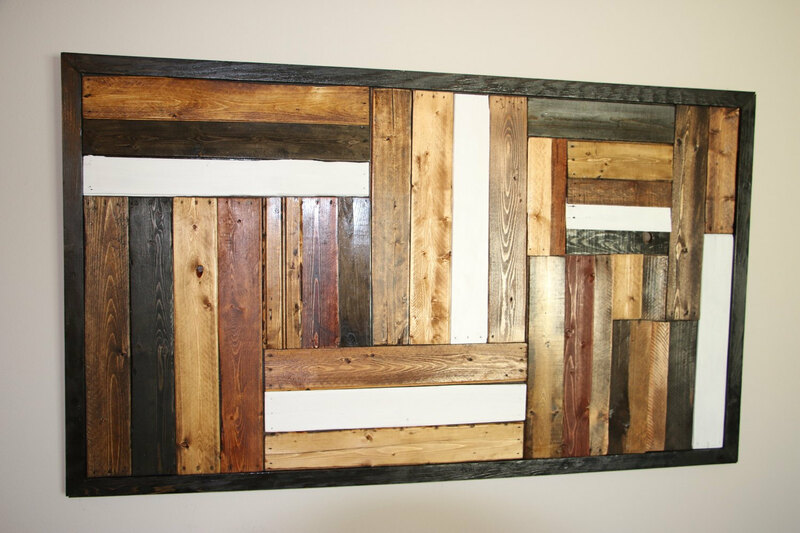 Just get the pallet slats in abundance to install your favorite design of such a wall art piece and also use the latest hanging systems for its lasting wall installation!